According to the information at our disposal, a member of filmmakers in Nigeria is serious down with breast cancer. All Nigerians and supporters of Nollywood are the only family she has. With your help she can be treated and come back to a better life. Bukola Iyabo Oshadare must Live. 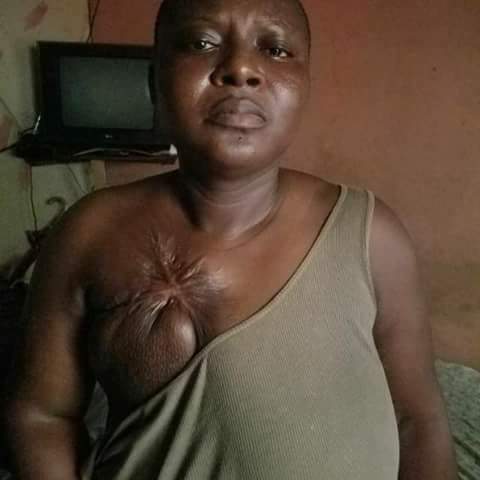 All over the world we are calling on Nigerians to help Save Oluwabukola Iyabo Oshadare. With N1,000 from 35,000 Nigerians we can raise N35 million in a day and fly her to India to operate on the breast cancer. It starts today and God willing we can hit the target N35 million by tomorrow morning. God bless you as you contribute and share the Message”. OAP Lolo replies follower who criticized her outfit to an event.